The event builds on the success of the Southern Manufacturing show and will take place in Manchester. Lasting two days between the 30th September and 1st October, we are really looking forward to exhibiting here for the first time. To make an appointment send an email request here. If you can’t make it to Northern Manufacturing, you can call us anytime or submit your BOM and Gerber data using our simple form. We can’t wait to meet as many people as possible and connect with some fellow Northern companies! This entry was posted in Events, News on July 16, 2015 by . You may remember seeing the London Rail Network grind to a halt a couple of weeks ago. Thousands of passengers were stuck and stranded for hours but with the sourcing skills of Cyclops Electronics, the problem was solved. An electrical problem between Wandsworth Common and Clapham Junction caused trains in and out of Victoria station to be suspended. 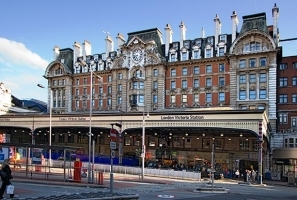 Victoria is a huge transport hub in London so getting it fixed, and quickly, was a priority for our customer. After receiving an immediate RFQ from his customer, one of our Account Managers, Jon, had an initial check and thought we were going to have to say we didn’t have the stock they were looking for. Then Charlotte from our fabulous purchasing team managed to track the part down in Europe. By this point, it was 5.15pm UK time so it was touch and go whether our source in Europe would still be available. Luckily, and thanks to Charlotte’s skills of persuasion, the parts were secured! However, now the problem was when they would arrive at our warehouse to be checked before sending them down to London. Thankfully, they arrived first thing in the morning and were able to be despatched immediately. After a nervous wait, our customer called later in the afternoon to say they had arrived but they were a different colour to what he was used to. After all our hard work was it all going to be in vain? But the parts were correct! The two pieces were fitted and full power restored to the rail network. We were thrilled everything got sorted (so was our customer!) and it just goes to show how much of an impact our work can have. Our entire team, from Jon the Account Manager to Charlotte in Purchasing and all the people in our warehouse, worked together to find the parts required, and get them where they needed to be within the space of a few hours. 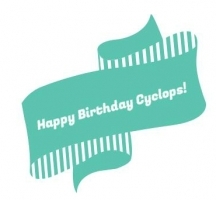 This success story is testament to the hard work and dedication all our staff put in day in day out at Cyclops. 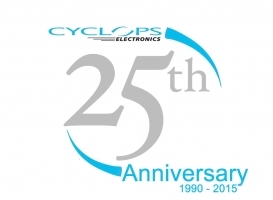 If you find yourself in a pickle like our rail network customer, you can call Cyclops Electronics on +44 (0)1904 415415 or email us here. We will do all we can to find the parts required and get them out to you as soon as possible. We love helping your business and being part of your happy ending! The DJ Assembly team will be exhibiting at ES Live 2014 on 15th May 2014. ES Live 2014 is the must attend event for electronics purchasing professionals and is held on Thursday 15th May 2014 at StadiumMK, Milton Keynes, UK. As well as getting to experience the DJ Assembly processes, we are giving everyone who pre-registers prior to the event a FREE Remote Control Mini* to collect from our stand ES80! *To view the terms and conditions, please visit the DJ Assembly website. This entry was posted in Events, News on May 2, 2014 by .